Ready to hit the road in your new Jaguar? 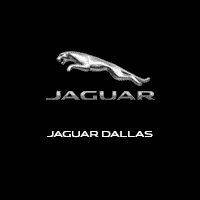 Jaguar Dallas, serving Dallas, Park Cities, Plano, Irving, and surrounding communities, provides you with the largest selection of new Jaguar cars. Our Finance Center team brings a wealth of experience in automotive leasing, financing and protection tools aligned with strong lender relations to best serve your needs. Beyond the first drive home, Jaguar Dallas Service team provides you professional and expert car service and maintenance to protect your investment.